MUMBAI: Singer Jubin Nautiyal, who has lent his voice to new versions of songs like The Humma Song and Tu Jo Mila Raabta, says he has been criticised for doing recreations. Nautiyal was speaking at the second season of Talking Music on Saavn, a music and audio streaming service. In a statement, Nautiyal said, "I have been facing criticism for doing recreations. People don't like me doing recreations. People tell me you have an original voice and you have an original way of doing things, why do you have to recreate things. I believe a song has music writers, singers, music directors, arrangers but the song in itself is of utmost importance." The singer says when he works on a track; he gives his full attention to it. "I don't pay attention to where it has come from, is it a recreation or anything else. When a singer starts thinking about these things that's where he messes up with what he is doing at that present moment. So, when I'm enjoying at that moment, it always works," he added. But Nautiyal says he will now only focus on original numbers. "People were a little angry with the remake of Pehla Nasha because it's a classic. They were like ‘you have ruined our song’, but its okay, this year I won't do recreations. I will focus more on originals," he said. The Zindagi Kuch Toh Bata crooner says he takes criticism in the right spirit. He said, "I come from a political background with business. I could be very high headed but one thing my parents have taught me is how to take criticism. If it is genuine criticism I never forget. And remember it when I am doing my riyaaz (practice)." "When the criticism is not genuine you know it is not in your heart. So, I just follow my heart," he added. 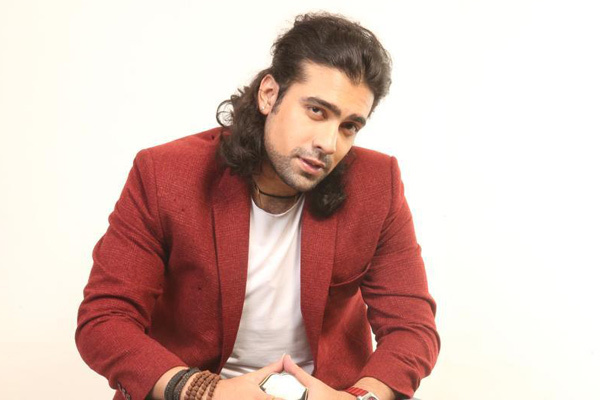 MUMBAI: Humnava Mere fame Jubin Nautiyal, who is one of the trending musicians in the country is soon releasing a new single. MUMBAI: Singer Jubin Nautiyal, who has created quite a smoke with his songs, has expressed her love for animals. Jubin, who has crooned Fakeera Ghar Aaja, has expressed the motto behind the song, which is out on T-Series YouTube channel.